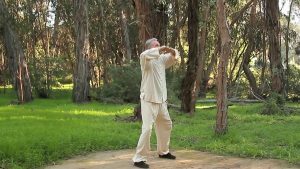 Master George Picard, expert tai chi and qigong practitioner, teacher, author of Heal Yourself with Qigong. 4th Generation Wu Yi Jie He Family System. Founder of The Village of Healing and Wellness, St Catharines, ON, Canada. 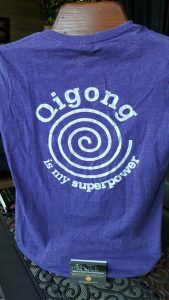 Master Picard has taught Qigong Cancer Support classes at Wellspring Niagara for over a decade. Dr. Roger Jahnke, OMD Doctor of Traditional Chinese Medicine with 40 years of clinical practice. Director of the Institute of Integral Qigong and Tai Chi (IIQTC), Author of The Healer Within (Harper: San Francisco, 1999) and The Healing Promise of Qi (McGraw-Hill, 2002). Co-convener 2005 National Expert Meeting on Qigong and Tai Chi. First author of a 2009 Comprehensive Review of Health Benefits of Qigong and Tai Chi American Journal of Health Promotion July/August 2010, Vol. 24, No. 6. PJ Klein, PT, EdD clinician, researcher, educator. 5th Generation Wu Yi Jie He Family System. 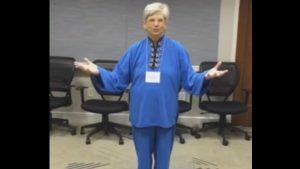 National Qigong Association, Research and Education Committee member. Lead author of a 2016 review of Qigong in Cancer Care.